When downsizing you life there will be times when you need extra cash. Perhaps you didn’t budget as well as you could have for this major life changing venture or simply that your cashflow is not going as far as it should in the present economic climate? For whatever the reason why not consider taking in a lodger to help your cash flow? Do you have a spare room that is doing nothing other than storing household items that you can live without? This could be the ideal room to rent out to a lodger. As long as it is clean, warm and you feel that you could share your home with a stranger it is easy to take in a lodger. Perhaps you have a few rooms that could be easily turned into a self contained flat or an annex that is no longer needed? These rooms will bring in a very useful income. You must ensure that the person sharing your home is reliable and honest. You must also feel comfortable with the person living under your roof especially if you live alone. 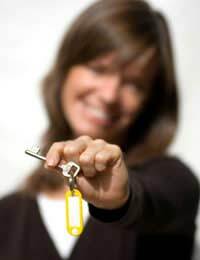 Ask for references and follow them through before offering the room to your chosen tenant. There is a government scheme whereby you can take a lodger and not have to pay tax on the income up to a certain amount. At present this is £4250.00 per year which is a substantial addition to your cash flow. For anyone who is unable to work because of family commitments or perhaps can fit in looking after a lodger and letting a room because they live alone and would enjoy the companionship the Rent A Room Scheme is ideal for them. If you are a tenant either with a local housing association or privately you must get permission before letting any part of your house. Your landlord must approve the arrangement and may have guidelines for lodgers and the letting of rooms in their property. If you receive housing benefits it may affect what you receive so check this out with the benefit office at your earliest convenience. Always offer services such as meals and laundry facilities as this will mean that your lodger has less right than he would if he or she just rents a room from you. When looking for a suitable lodger you need to be careful where you advertise. A card in a newsagent’s window may be cheap but it may gain the attention of the wrong sort of person. Remember this person will have a key to your front door and access to most of your home so you must be very careful who you choose as your lodger. Contact local colleges and schools as they may have teachers new to the area that need somewhere to live for a short basis while they find their own home. A large company in the area may have staff visiting from other areas and need short term letting rather than placing them into an impersonal hotel. Draw up a contract or agreement before the lodger moves in. Things as simple as use of the bathroom and kitchen, smoking in the house and loud music at night can be a problem. If simple house rules are drawn up at the beginning of the letting the lodger will know how he or she stands while living in your house.